Hello again. This week we have a few products and a couple product-specific videos. Don't worry, the Friday New Product Post Video didn't go away, we just did individual videos again this week. Let's get right to it, here are the products for this week. The Teensy LC is a breadboard-friendly development board with loads of features in a, well, teensy package. 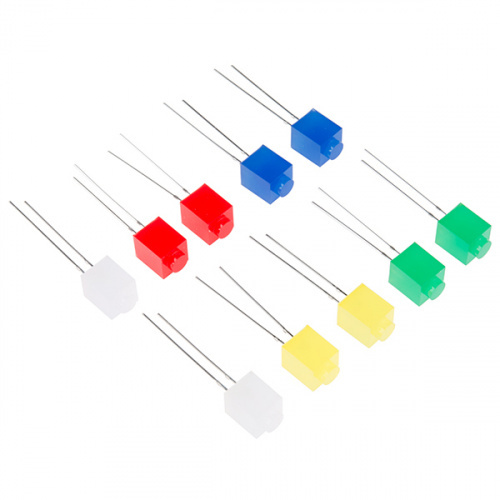 The LC is a low cost version of the popular Teensy that has a lot of the same features, but at a lower price. 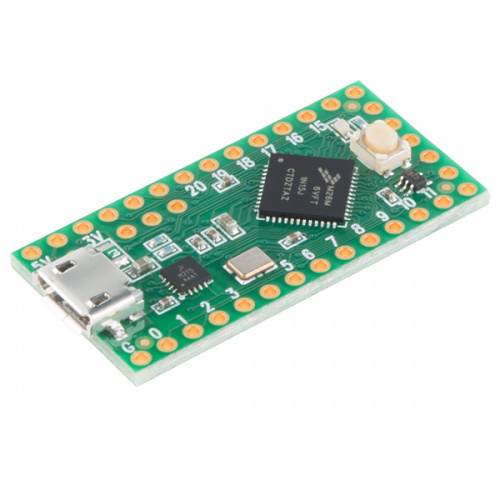 The processor on the Teensy also has access to the USB and can emulate any kind of USB device you need it to be, making it great for USB-MIDI and other HID projects. The 32 bit processor brings a few other features to the table as well, such as multiple channels of Direct Memory Access and an I2S digital audio interface! There are also 4 separate interval timers plus a delay timer! It's a cool little board. The FEZ Spider Tinker Kit is a 100% open-source (hardware and software) .NET Gadgeteer compatible mainboard running .NET Micro Framework. 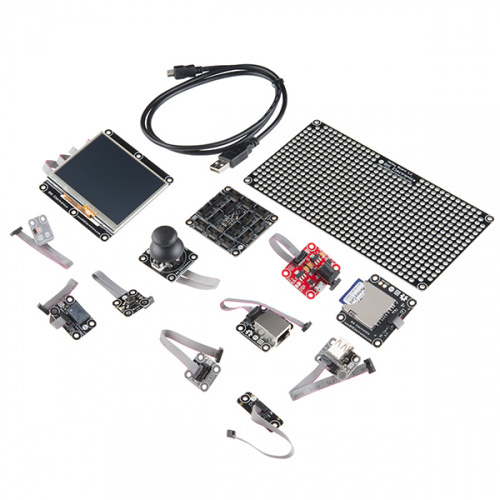 This tinker kit enables users to program the FEZ Spider and its add-on modules from Microsoft’s Visual Studio using C# or Visual Basic, allowing developers to take advantage of the extensive built-in libraries for networking, file systems, graphical interfaces, and peripherals. Nick put together a little demo and explains what's included in the kit. Let's watch. Classic Nick. That's it for this week. We'll be back again next week with more new stuff, so be sure to check back then. Thanks for reading and watching. Uh, can you imply compatibility with Danish-made interchangeable plastic building blocks if only half of it is there and the other half is blocked by wires?? Also I found it odd that 2 of your three demos did not utilize the interlocking feature at all and would have been just as easy to do with standard LEDs. Hope there is an improved version in the future. Could you make some BuildUpons that have the leads coming out of the side of the block and allowing the bottom to be a normal ... Danish-made interchangeable plastic building block system bottom?